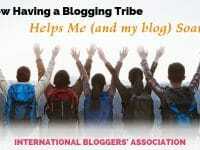 Are your blog tasks overwhelming you? You can find help to ease the many tasks involved! 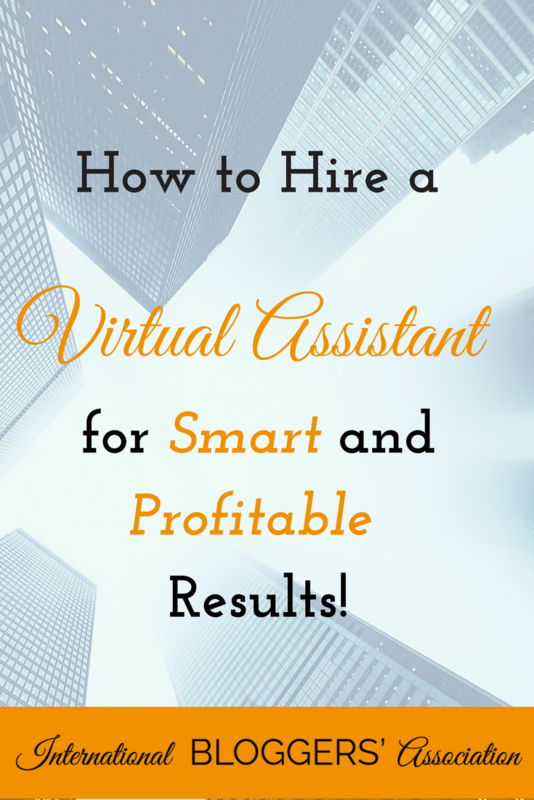 Learn how to hire a virtual assistant with #IBAchat! 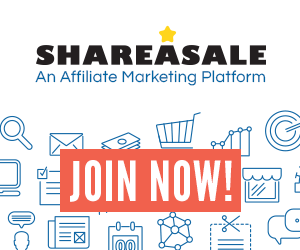 These days just keeping up with the social media and admin needs of your blog or online business can be a full-time job. But it doesn’t have to be! 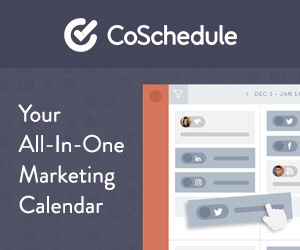 Virtual Assistants can help with the heavy lifting for many of your online needs. 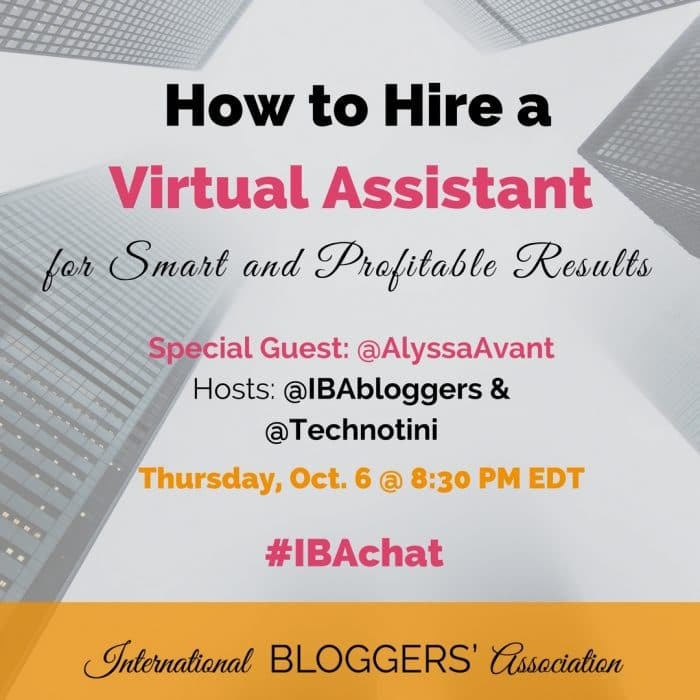 In this week’s #IBAChat, we’ll discuss tips and tricks to make hiring a virtual assistant a smart, profitable, and fun process for your online blog / business. 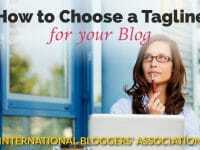 Hiring a virtual assistant can be a difficult task for many bloggers and business owners. Though it is a serious task, it does not have to be overwhelming especially if you come prepared. Knowing some tips can make the process easier and maybe even fun! This week we’re so excited to welcome IBA member, Alyssa Avant. 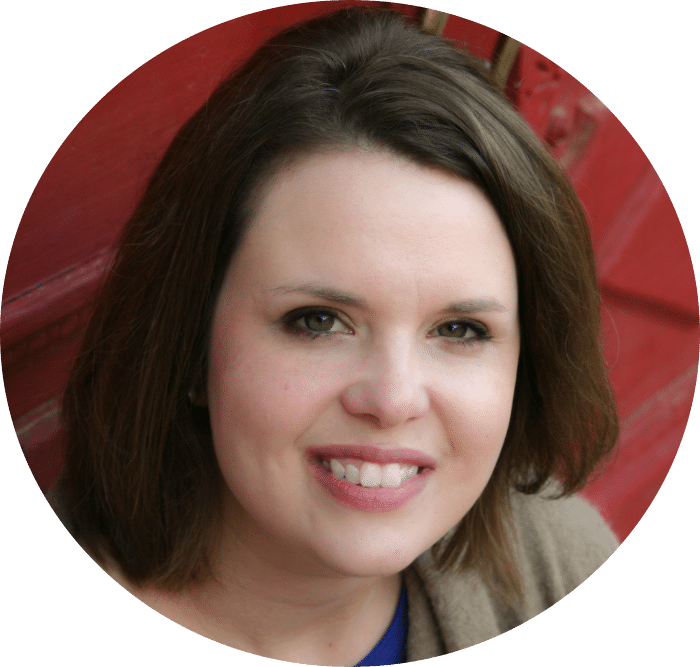 Alyssa is a seasoned virtual assistant with almost ten years of experience working with authors, speakers, and coaches. She is also the mother of three, a homeschooler and she and her family lives in the Deep South. Mark your calendars for this week’s chat “How to Hire a Virtual Assistant-for Smart and Profitable Results” this Thursday, October 6, at 8:30 PM EDT.